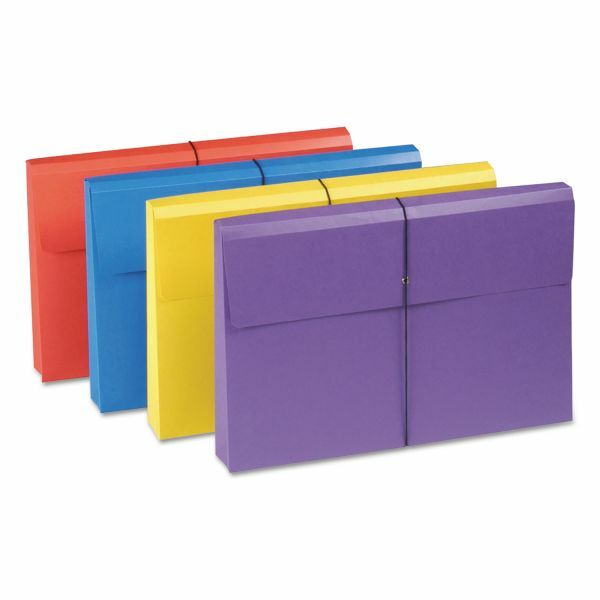 Smead 2" Expansion File Wallet w/Product Protection, Legal, Assorted, 4/Pack - Use these colorful wallets to organize and store your most important documents. Revolutionary antimicrobial material inhibits the growth of bacteria, mold, fungus and mildew. Ideal where the fight against bacteria and mold is critical, such as medical and dental clinics, hospitals, schools and offices. Expand to 2" and can hold up to 500 sheets of Legal-size paper. Elastic cord keeps protective flap closed and contents secure. Assorted colors include blue, purple, red and yellow. Acid-free, archival quality. SFI Certified.